NetSuite is a unified suite for business management, offering functions like enterprise resource management (ERP), financial management, customer relationship management (CRM), and professional services automation (PSA). NetSuite is the #1 Cloud ERP Business Management Suite, offering comprehensive functionality with support for various industries and a range of business applications. It is an excellent solution for rapidly growing companies who are looking for a centralized system for all their functions like accounting, customer relations, inventory and warehouse maintenance, human resource management, and reducing inaccuracies and inefficiencies. Having your business information in a single database, with real-time dashboards, improves visibility for all departments. NetSuite Integration is the first step towards managing and planning different business aspects in the cloud. It is very extensible and customizable, and there are several methods to integrate the software with your existing sources and software like CRM systems, Human Capital systems, or any other application. However, Configuration of NetSuite in accordance with the Organizations existing Methodology and processes is one of the biggest challenges faced by NetSuite Integration. It’s not just integration we are talking about; there are several other things that need to be done while adopting a new cloud ERP Suite. Although NetSuite comes with inbuilt tools to enable integration, any mistake committed can cost you a bomb. NetSuite Software is an ERP cloud solution and hence, involves no hardware, no maintenance, and no complex setups. Its API integration platform offers a flexible and adaptable way to handle connectivity requirements of your organisation. But, if your organization does not understand how to go about installing and integrating this software with other on-premises apps, you can find yourself in a lot of trouble. Mistakes can be costly and risky for your business. 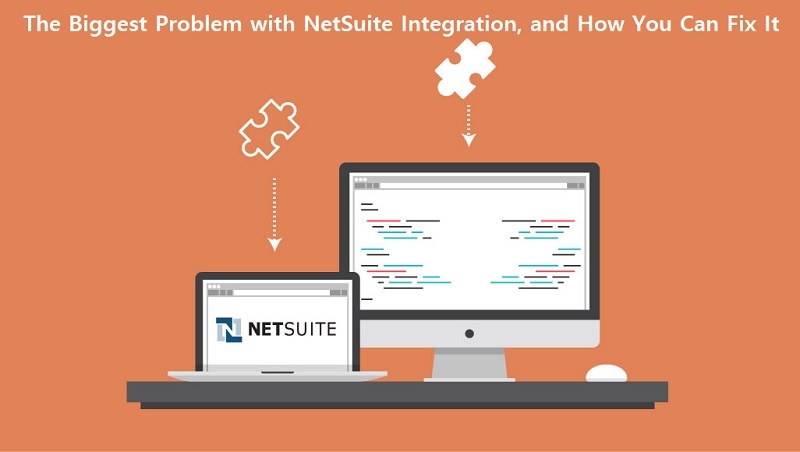 To avoid issues, it is advisable that you seek help from a NetSuite Solution Provider, who can help you integrate the system and get the most out of your suite. A NetSuite Integration Consultant will help you connect your Cloud ERP with on-premises software, social, cloud, and mobile apps. The experienced Netsuite solution providers help you integrate your data with the NetSuite Platform using SuiteTalk integration. This improves your access to critical business information and lets you move your data in and out of the suite seamlessly. In addition to integration, there are several other aspects that the experts help you out with, enhancing your NetSuite user experience. They help you implement the plan for the first time. Implementing the software on your own is no easy task, and again, mistakes are inexcusable. Hence, taking help of a NetSuite Solution Provider can help you implement the software without committing errors and losing any precious client data. They can also help you and assist you in NetSuite optimization. Having the experts assist you long after you are done implementing and integrating the software, can help you get the most out of it. Based on your business’s needs, you can license various modules from NetSuite, and change the way your organization operates. And, with the help of the right NetSuite Solution provider, you can quickly implement, integrate, and optimize your suite to get the best results, in a seamless manner.